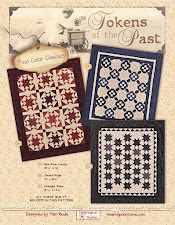 Coming Soon....a New Tokens of the Past Pattern! My Star Spangled Liberty quilts are all completed! Pieced, quilted and bound....what a great feeling that is!! 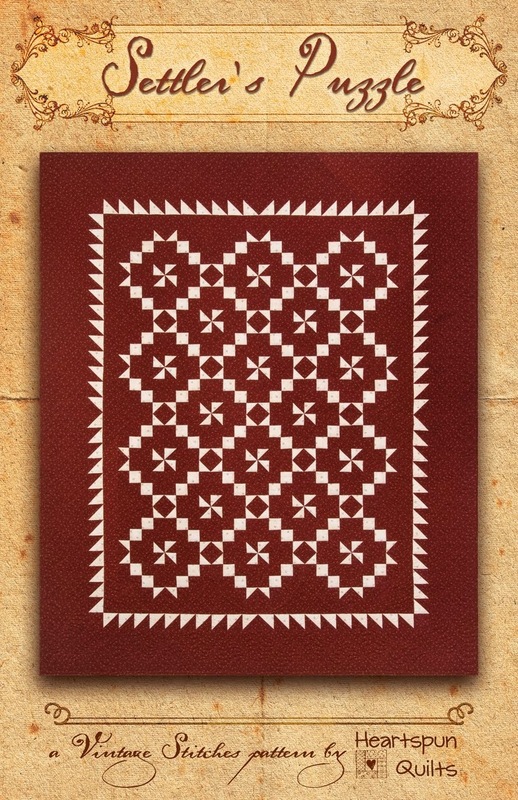 They are temporarily gone for photography which means that very soon, I can have the pattern covers printed. The pattern is nearly completed as well, and has many eyes proofreading every detail to deliver as problem free a pattern as is humanly possible! 10 x 10 precut of the Star Spangled Liberty collection. I think the 10 x 10s will be available in September, but that might change. Boy did I have fun designing three patriotic quilts. 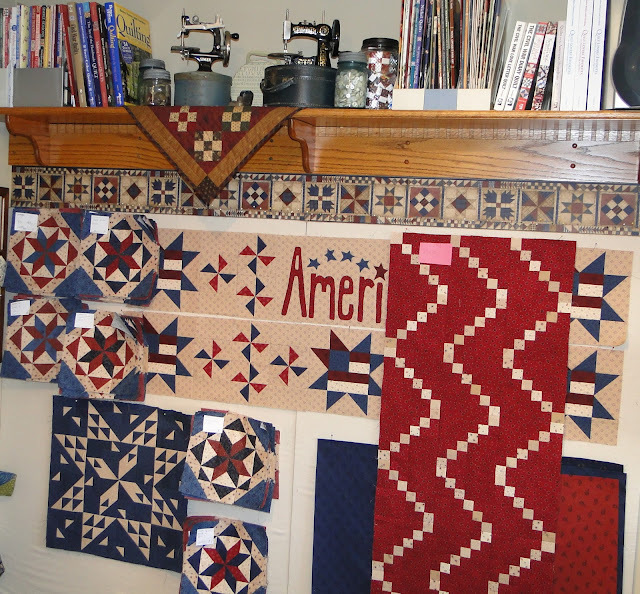 I mean, what's not to L*O*V*E about red, white and blue quilts anyway? So here's a sneak peek at some sewing I'm doing for one of the three quilts. Just a tease, I know. Sorry! You'll have to wait awhile longer for the big reveal. 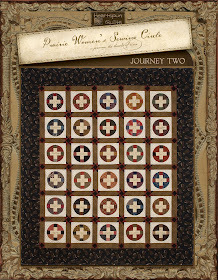 We're running our sewing machines hard to complete these three quilts so they can make their big debut at spring market. I'm really hoping you'll love them as much as I do! Hope you're finding time to sew something as well. So, so good for our souls! 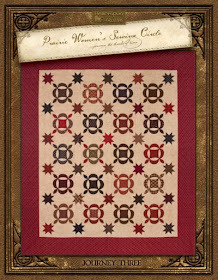 The first of the two Star Spangled Liberty quilts has been quilted and the binding is in progress. Feels great to get the to this point! 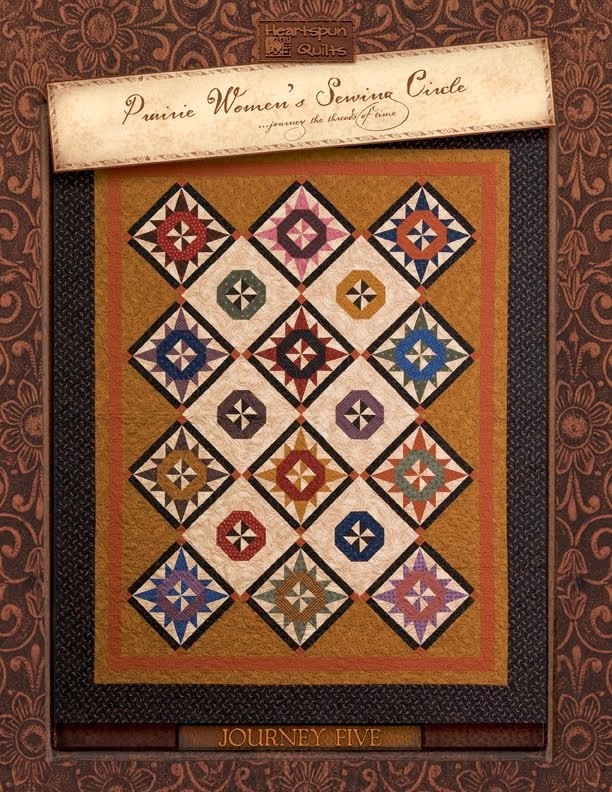 I'm dropping the second quilt off at my fabulous quilter Ronda's place today. Aahhh...they're done! But the work is far from being complete. Finishing touches on the pattern and shop guides will be happening this week and then off to the proofreader to check, check and double check every little detail. I promise more pictures when both quilts are bound. Thank you! Thank you to everyone who took the time to comment to my last blog post. It feels nice to hear from all of you, and believe me, I read each and every comment. Loved hearing your thoughts on which fabrics, patterns and BOM programs inspire you to want to buy and or make them. So much of what you said resonates with me, too! 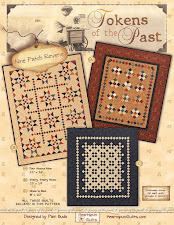 Patti - I need no spurring, I just love to buy fabric. And I have a wide range of taste. I buy more when a fabric evokes a feeling or memory. The BOM is lovely. Jill - I buy and make what speaks to me, it's that simple I guess. Gwenette - Be still my heart!!! I love anything red, white, and blue!! 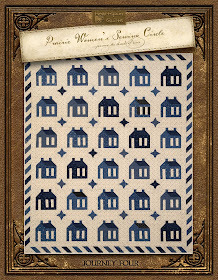 Your new pattern is so Americana!!! 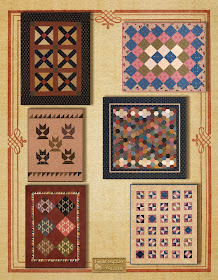 Sunny - I love mostly old fashioned, traditional type patterns. And I love fabric. Most fabric. No rhyme nor reason to what I buy. I'm not good with BOM's because I lose interest if I can't keep working on something. 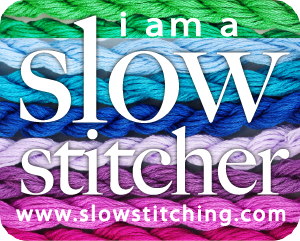 And I'm on a fixed income, so if I can make something from my scraps or stash, it's all very good!! 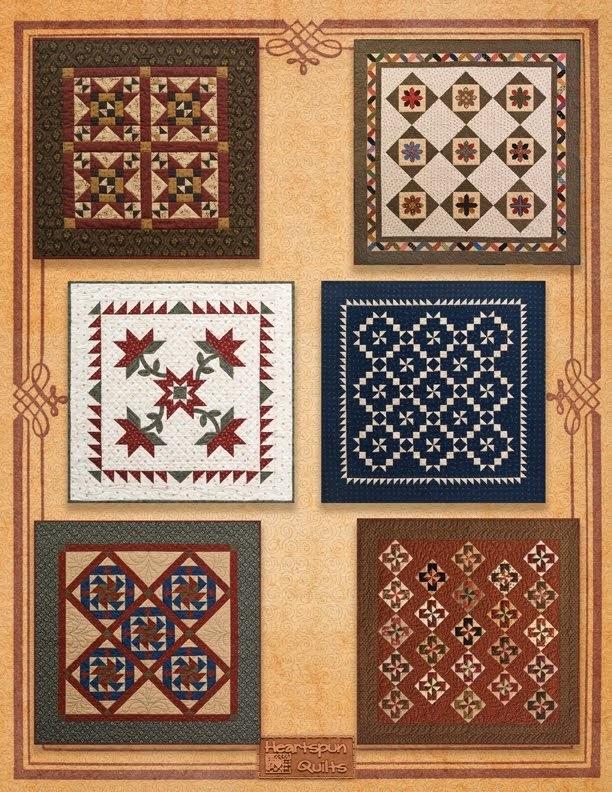 Kathy F. - Pam, your fabrics are simply stunning. I am in awe with each new selection. It is obvious you love what you do. You inspire me. Thank you. Aunt Bee - I love your work...but like many others, we are retired. Our income does not go up any more which is sad because our wants still do! And with MS the medical bills are sky high. Good thing I worked for a quilt store and stocked up and have a good stash. When doing a BOM I look for something different...something that I may only have to add 1 or 2 fabrics to. And this is a big one! 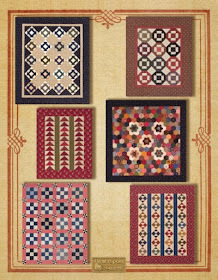 Are the patterns offered free? Thanks for listening and all your excellent work! Anonymous - I love doing block of the months, it is always hard to decide which one to do, I had 3 going last year and didn't enjoy them as much so I think now I will stick to one at a time. I am not sure what draws me in, I read a lot of blogs and Instagram, sometimes it is just love at first site. 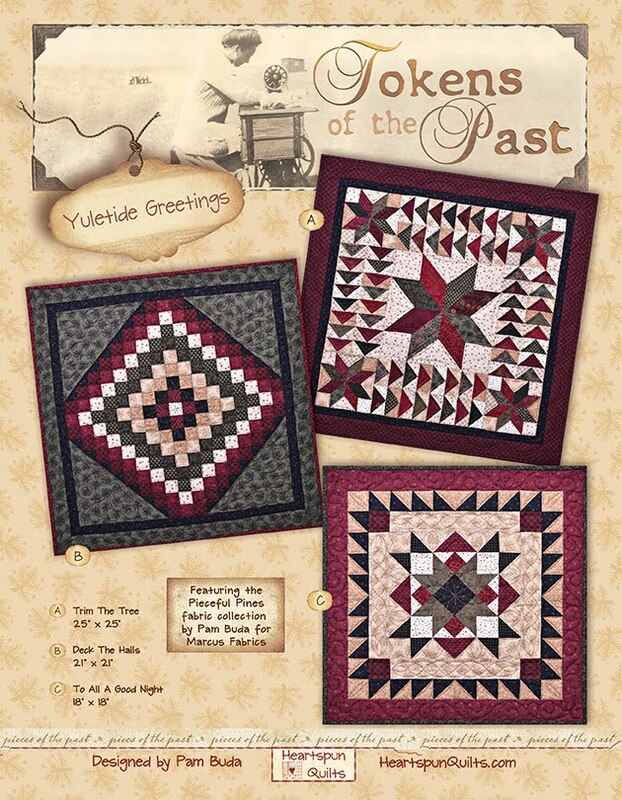 This quilt is amazing, I will have to hold off on doing a block of the month so maybe I can do this one. 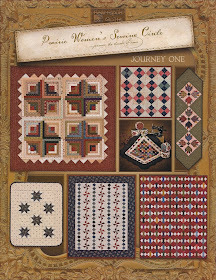 Please email me at Pam@HeartspunQuilts.com with your mailing address and which pattern you chose. Thanks so much for your comments! At this moment, this glorious moment.....when all of the piecing of the "parts" of a quilt are complete.....you're about to get your first look at what the quilt really looks like. So exciting! Star Spangled Liberty is about to become a real quilt instead of an EQ drawing. Drum roll, please! 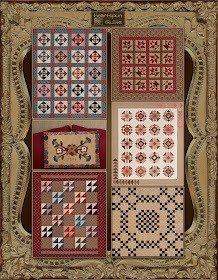 My friend Deb and I pieced the quilts just as you will, by following the monthly patterns. 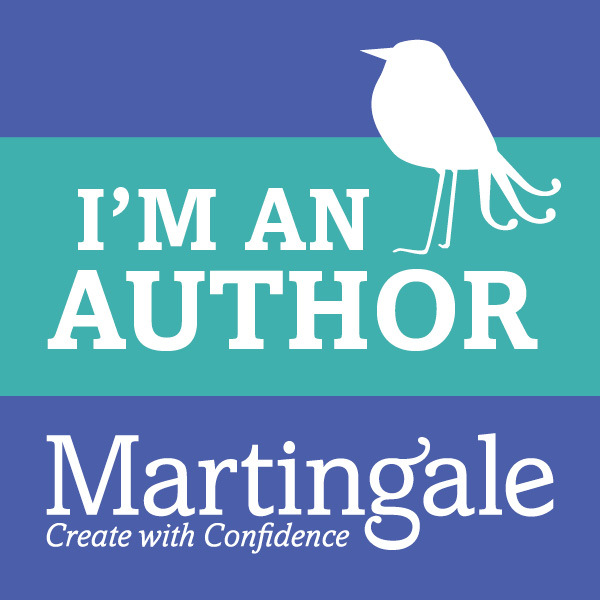 I'm writing as I am piecing, checking and double checking what seems like a million details, all to deliver (to the very best of my ability!) a perfect BOM program. 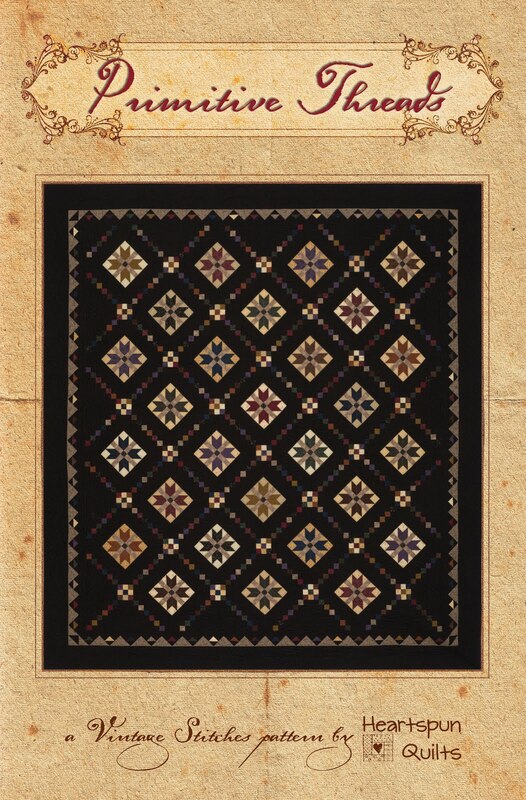 By the time you read this, I'll be sorting blocks, adding sashing and borders, and seeing what was a creation of my imagination come to life. I know I've been kinda MIA from my blog the last week or so, and now you know why. Don't think I'm not thinking about blogging, or wondering how you all are doing. You've been quiet, too! So....let's get some chatter going here. 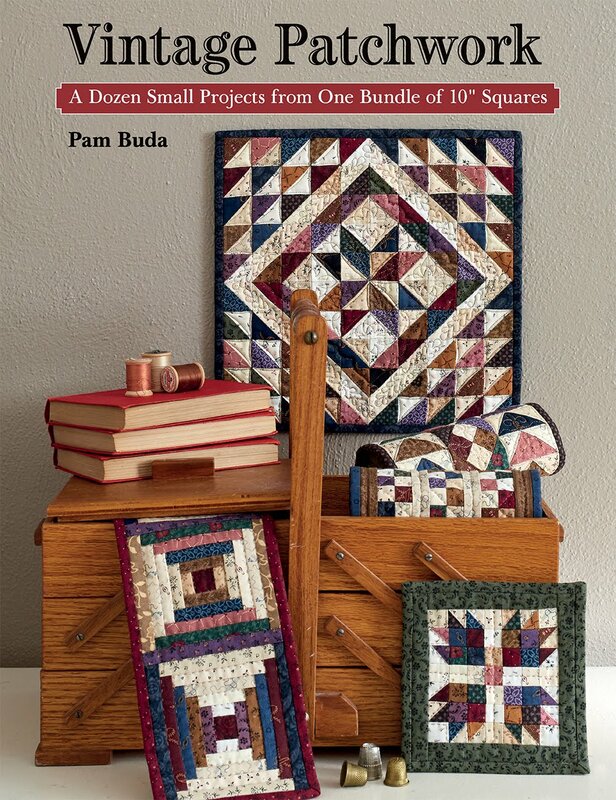 Leave me a blog comment on what spurs you to buy that great piece of fabric, a quilt pattern, or sign up for a BOM. What is it about that product that says "I have to have that", or "I really want to make that?" Enjoy your weekend!! You know what I'll be doing.....sewing!! Yippee! !